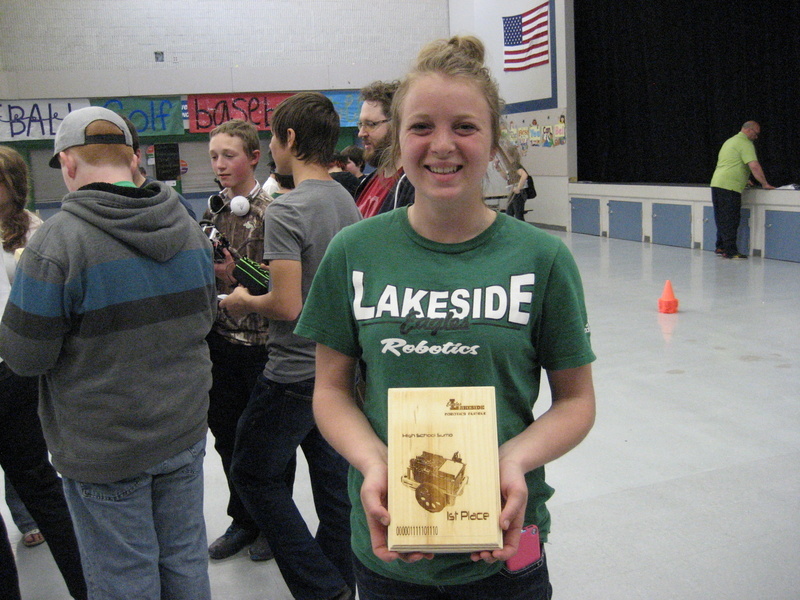 On Saturday, April 19, we visited the first edition of the Lakeside High School (LHS) Robotics Rumble Robotics Competition in the Spokane, WA area. The event was organized and coordinated by the LHS Principal, Mr Brent Osborne, with the support of many volunteers and the Nine Mile School District, leaded by Superintendent Brian Talbott. 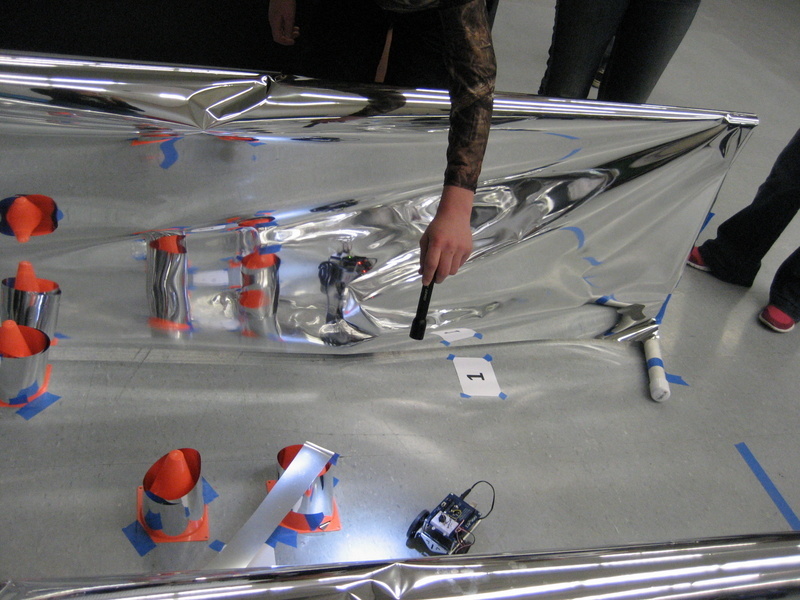 The competition was based on the ST Educational Robot Full Kit and was open to High Schools and Middle Schools. 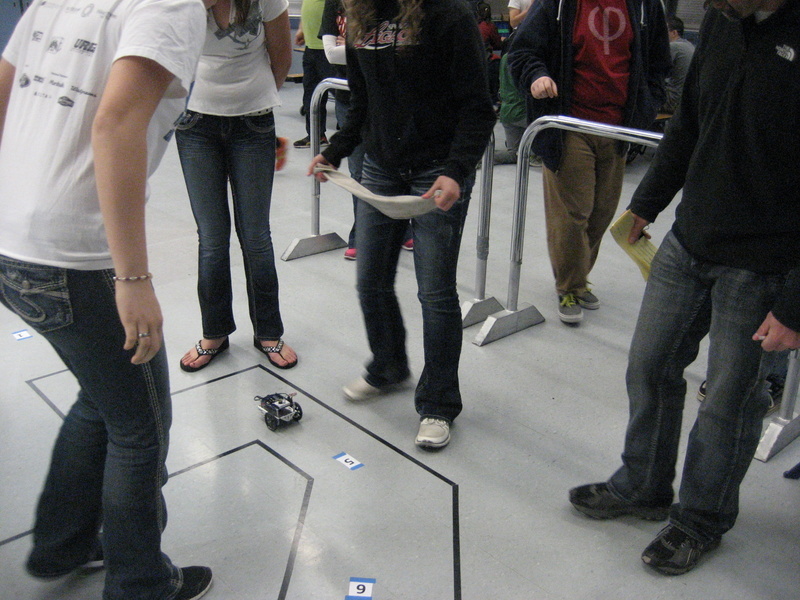 Schools can compete for free in this competition using the ST Edu kit or even a standard Boe-Bot robot from Parallax. 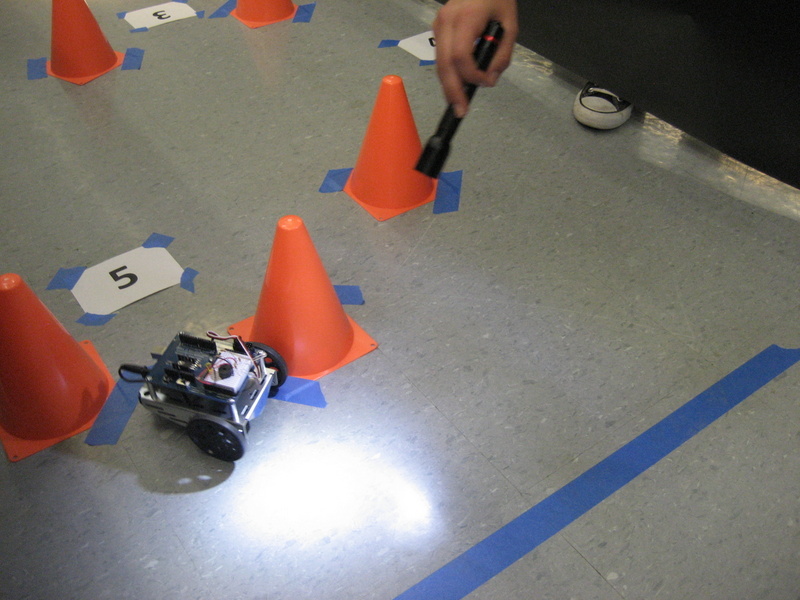 Schools that do not own any robots can obtain one for free that will be returned the day of the competition. Sponsors provided free lunch for students and volunteers. Mr. Osborne said that the goal is to make this an annual event with the second competition being planned for late February 2015. 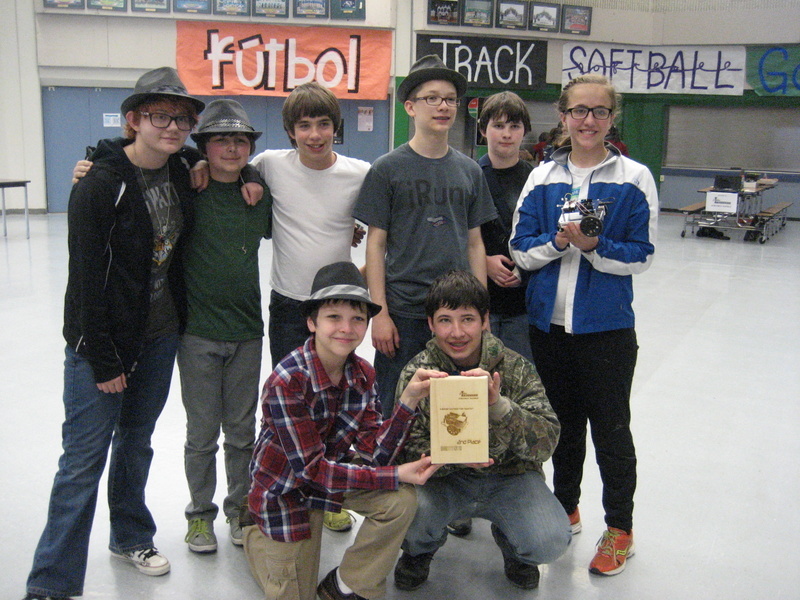 The competition is open to all schools, even from outside WA State. 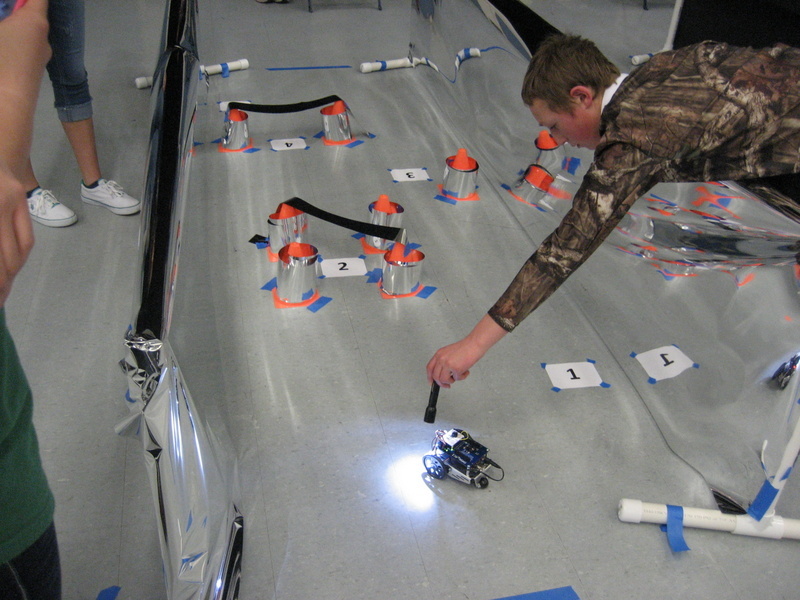 The event included navigation, light following and Sumo challenges. 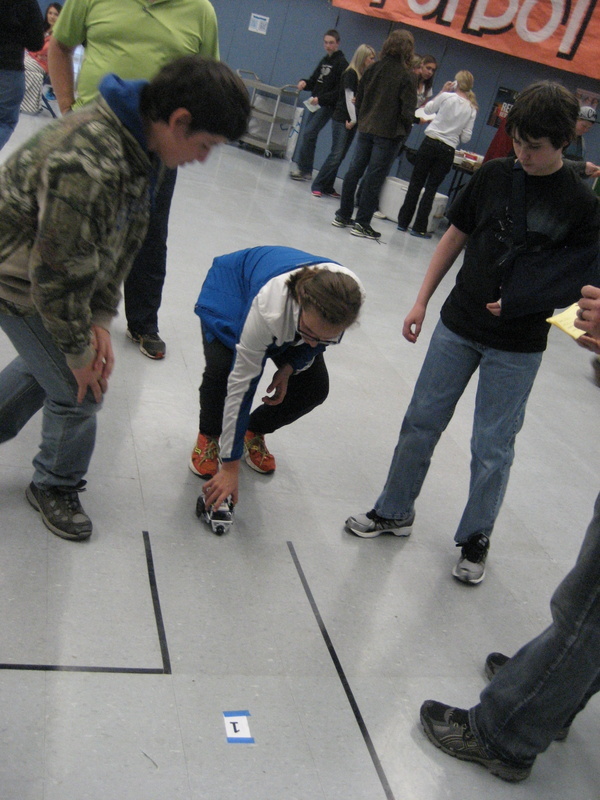 Some students were very exited and kept rushing from the tracks back to their laptops to make smaller improvements in their bots. The event not only was fun but a great learning experience for the students and motivational event for continuing robotics programs on each school. Mr Jeff Baerwald, Principal of Lakeside Middle School mentioned that for next school year the middle school will be introducing robotics as a class and not just an after school club anymore. 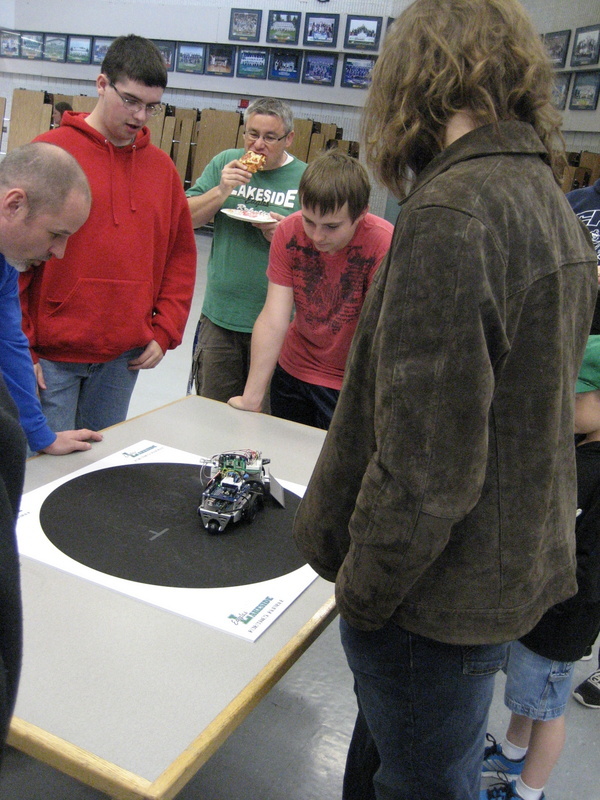 Competitions like this one increase student motivation on learning about the different details about programming and electronics, trying to get some advantage that they will leverage in the next event. If you would like to get in contact with the organizers or if you are interested in starting an inexpensive robotics competition in your area, please contact us at education@simplytronics.com. 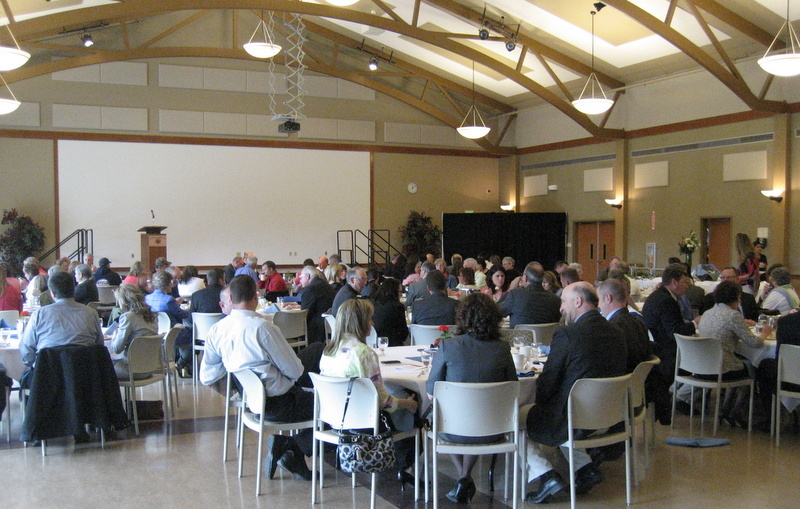 SimplyTronics was invited today to attend the Nine Mile Falls School District Board Meeting in WA State. 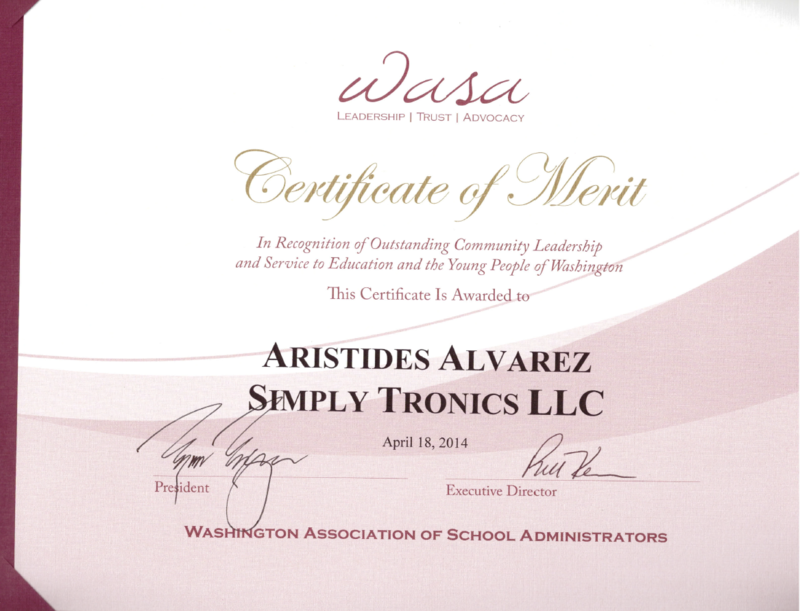 During the meeting, the School Board recognized SimplyTronics support in helping STEM initiatives in the District. Superintendent Brian Talbott and High School Principal Brent Osborne in particular offered details about the beginning of the relationship with SimplyTronics and our involvement in supporting the new robotics clubs in the High School an Middle School. 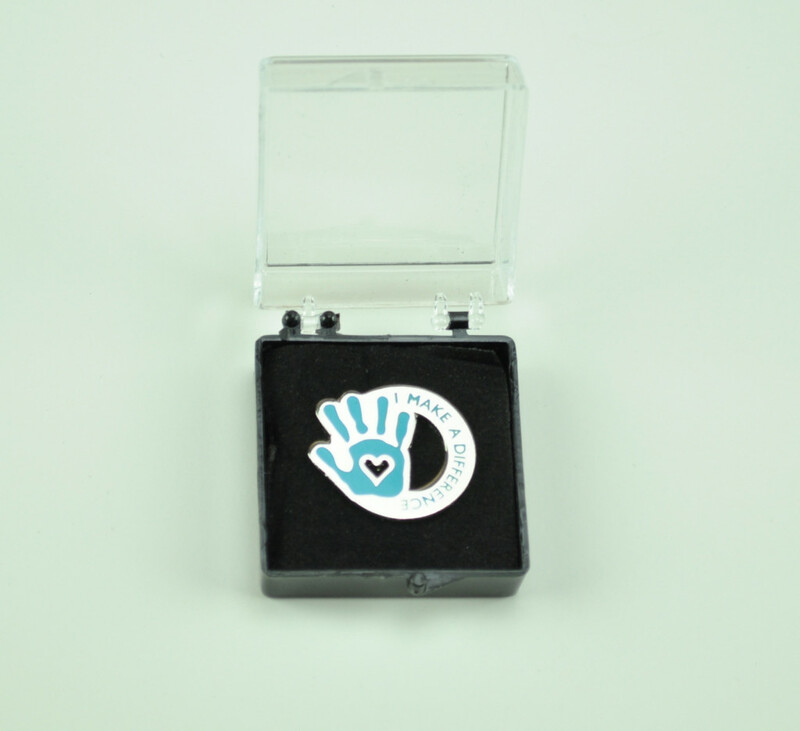 Ari Alvarez, representing SimplyTronics Educational Program, was presented with a nice pin as token of gratitude from the School District Board. We are thankful for the staff and the students in the district since they are the ones that work the hardest to promote technology literacy. 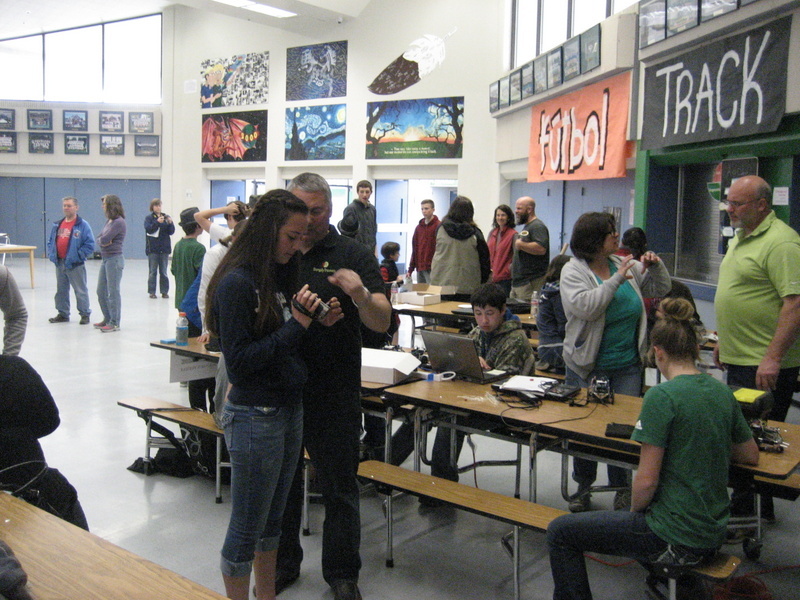 We will continue to support the School District efforts in promoting robotics and technology in the Inland Northwest.